Which of Three are You? | Commercial Water & Energy Co. Which of Three are You? You’re passing off the costs of water and sewer to residents and it’s working well. * Whether you’re submetering, using RUBS or some combination thereof, you’re recovering the vast majority of costs and the system works smoothly. Your bottom line is great! Why are you reading this? You’re trying to pass off water and sewer costs to residents but you’re not happy with how it’s working. Either the submeter reads seem wacky or the billing company’s customer service isn’t what it should be or something else isn’t quite right. Residents are complaining and you’re frustrated. There must be a better way. Fill out the blue form on the right for a better . You’re giving away free water and sewer to your residents. ** Because your tenants have no vested interest in conservation of water, leaks often go unreported and water use is probably higher than it should be. Oh, and of course, the result is that water and sewer expenses are dragging down your bottom line. Fill out blue form on your right for a better . How do you compare solutions and determine what’s best for your property and residents? What are the pros and cons of the different solutions? What solutions do residents typically prefer? How to find out what is even possible at your property? Fill out the blue form to your right for free Property Manager’s Guide to Utility Cost Recovery. 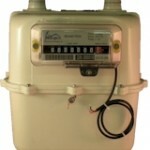 · * It’s also possible that your residents are individually metered by the utility provider. In this case, the residents directly pay the utility. If that’s your case, you’ve got nothing to worry about – why are you reading this? · ** If you are charging a flat fee for water and sewer, don’t kid yourself. In reality, you are giving away free water and sewer to your residents – it’s just that you’ve chosen to label part of the rent as “water and sewer charge.” You have the same problem that you would have had if you had simply included water and sewer with a higher rent – the residents have no motivation to conserve water and to quickly report leaks. 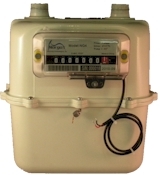 This entry was posted in gas submeter, Submetering vs Rubs, submetering water and RUBS, water submeter by cweadmin. Bookmark the permalink. Wondering what are my options in NJ for water submitting? Cathy – submetering is permitted in NJ but there are certain rules. Please fill out the blue form on the right and we’ll contact you to discuss.